When I think of handcrafted soap, I am seeing soap made with moisturizing oil and butters in small batches. Some are all natural using only essential oils for scent and clays and herb powders for color. Others are mostly natural being scented with fragrance oils and using micas and oxides for color. But all are luxurious with their rich blends of oils and butters that soothe the skin and contain the soap’s natural occurring glycerin. 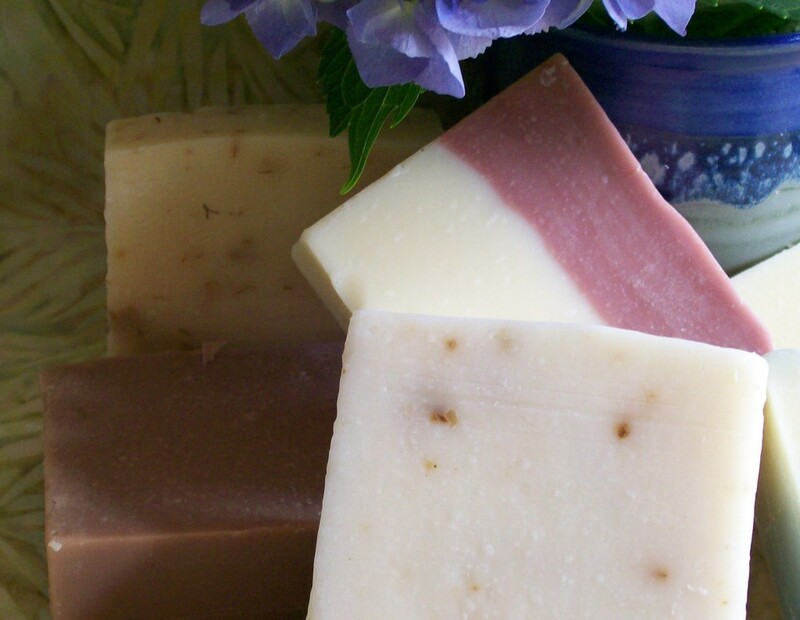 Do you know the chemistry behind soapmaking or what we in the soap world call saponification? The process of soap is mixing a base which is the sodium hydroxide with an acid which is the oils and butters to form a salt which is soap plus glycerin. This glycerin is a humectant, which means it draws moisture from the air into your skin and helps to condition your skin. Glycerin is a by-product and is what the commercial industry skims off and resells for a profit and leaves a more drying product to for you to use. Soapmakers are artists, crafters, designers, and chemists. We look at all the different oils and butters and how they can make the most luxurious bar of soap for your skin. Some oils like Olive Oil are very moisturizing but this oil produces small bubbles. So, we add coconut oil to make a fluffy lather with lots of bubbles and add nourishing cocoa butter to make a hard bar that lasts longer in the shower. We are constantly tweaking and revising our formulas to give your skin the best care. Then we need to decide on a scent that will catch your attention, actually your nose’s attention and some colors that will catch your eye. But our main goal is to make sure that those 3000 square inches of your lovely skin are creamed and conditioned and feel wonderful after using our products. We want you to feel that your skin is so worth it and will come back for another bar. Do you know what goes on at a Soap Conference?